COLLECTOR UPDATE: The Shortcut has been sold. I'm pleased to introduce my new painting, The Shortcut. 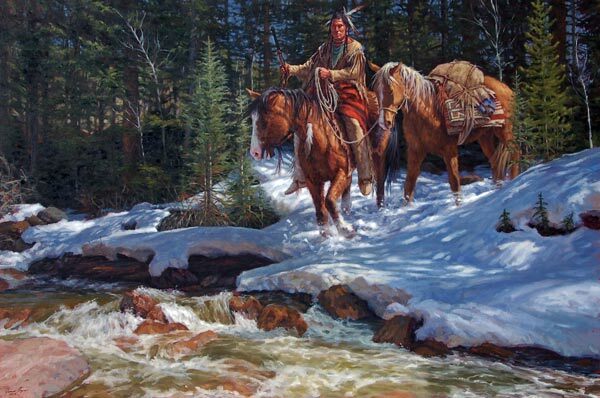 The Shortcut depicts a Blackfoot man taking a shortcut home. Deep in the forest, he is preparing to cross the river which is swift due to the spring thaw. You can see in his eyes that he is making choices, deciding which way will offer the fewest hazards. The warrior rides a horse with a thick winter coat. 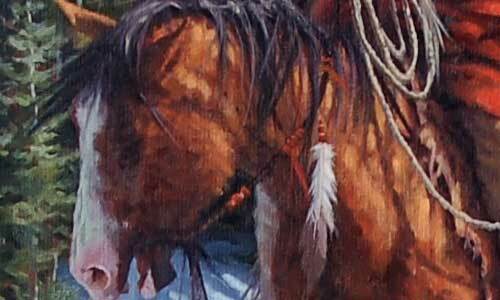 Native American ponies would get wooly and fuzzy in the cold months. 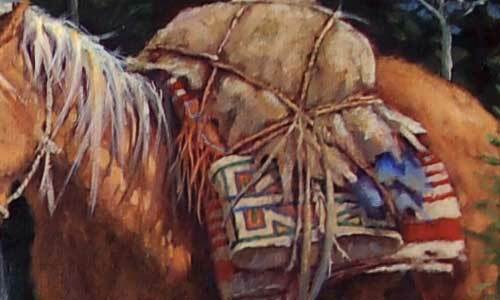 The pack horse is bearing parfleche bags--hide bags painted with maps and symbols and used to carry dried meat. Pony with fuzzy winter coat in "The Shortcut"
The man carries a Winchester Yellowboy lever-action rifle, which began production in 1866. 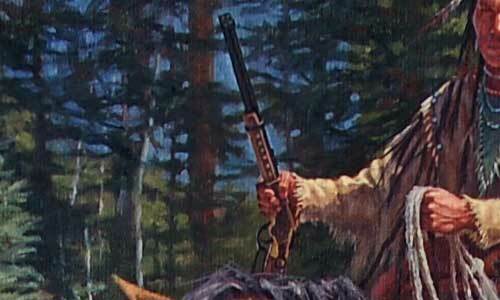 This model of weapon was a favorite amongst the Great Plains tribes because it was one of the first repeating rifles. The fighters and hunters could shoot with it far faster than they could notch arrows into their bows. Plains people traded and raided to acquire these valuable firearms. 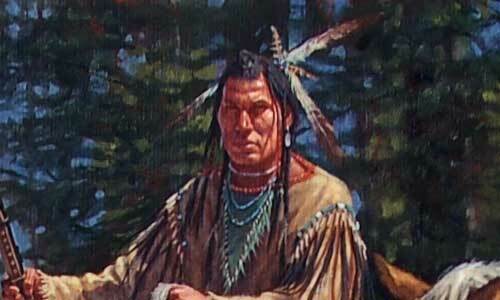 My research for this painting took me high the Rocky Mountains in the early spring of 2012. At the time, I was struck by the shadows and highlights of the light in the cold air. I took these impressions that early spring day and emphasized them in The Shortcut. Notice the contrast of the lights and darks in the snow and stream. This interplay of light emphasizes the rider, helping to draw your focus to him. In addition, most of the background and foreground are cool shades whereas the warrior and horses are rendered in warm tones, also to bring emphasis to the rider. Are you interested in acquiring The Shortcut? 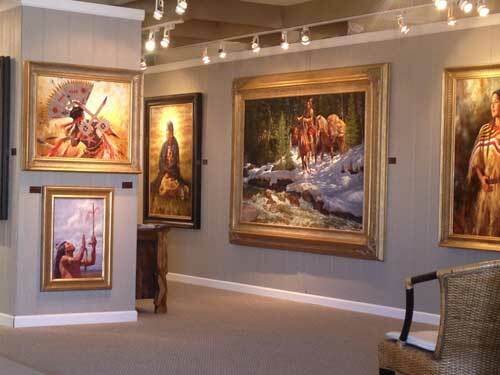 I am displaying The Shortcut at the 2013 Celebration of Fine Art show. If you are interested in The Shortcut, please contact me directly: James Ayers email.